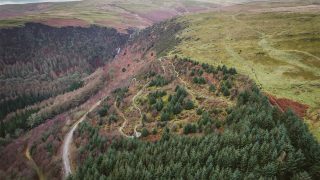 In a remote woodland 20 miles from the mountain bike base at Brechfa, and just outside the village of Cilycwm lies Cwm Rhaeadr, home to a wonderful red mountain biking route. It may only be 6.7km in length and it may be the only route here, but it is definitely worth the trip. 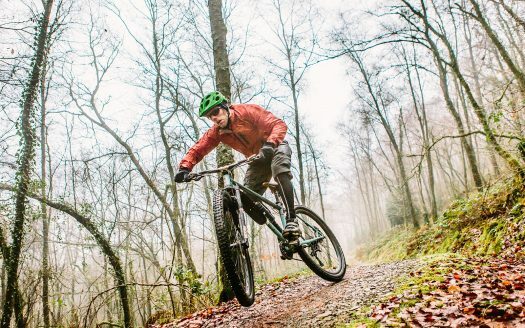 Made possible with funding awarded to the Cilycwm Local Community Association it is rated by MBR magazine and most who ride here as one of the best trails in the UK. Check out the film edit for Cwm Rhaeadr to see for yourself. Accommodation and refreshments are available in the village of Cilycwm and in Llandovery. The small car park at Cwm Rhaeadr is free to use. Please contact Natural Resources Wales. Cwm Rhaeadr, near Llandovery is located one mile north of Cilycwm village. Follow the signs for Cilycwm from the A482 or A483. Continue north out of Cilycwm towards Llyn Brianne Reservoir until you reach the signs for Cwm Rhaeadr.